zshock wrote: While having the pleasure to go to Ferrari World last week. The big one, the mighty one, was closed due to annual maintenance, which was a shock. To be fair, it is on the park website, and it has been for quite some time as we looked into this prior to our trip. 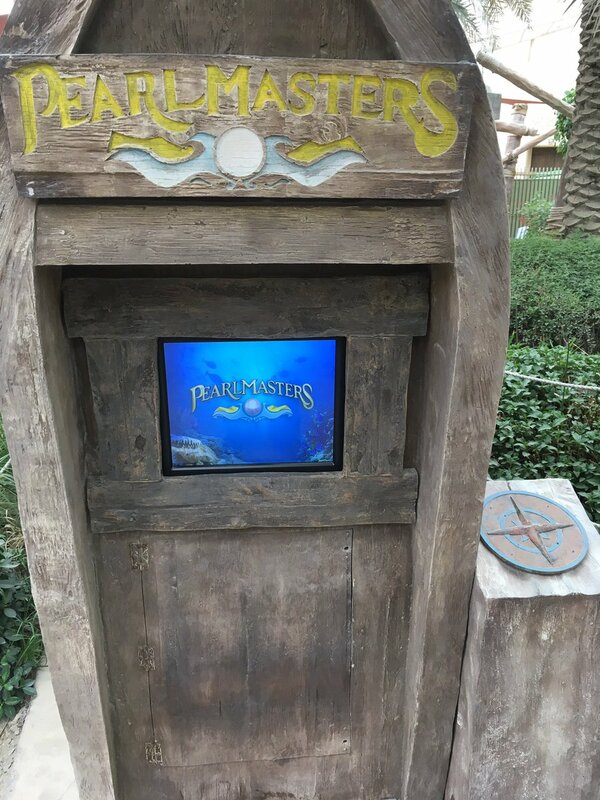 Maybe the ProTip next time you plan your travel is to check with the park to make sure if a major ride you are looking forward to is actually open during your trip? And then if you can re-adjust your travel plans, you can do so when said attraction is back open. 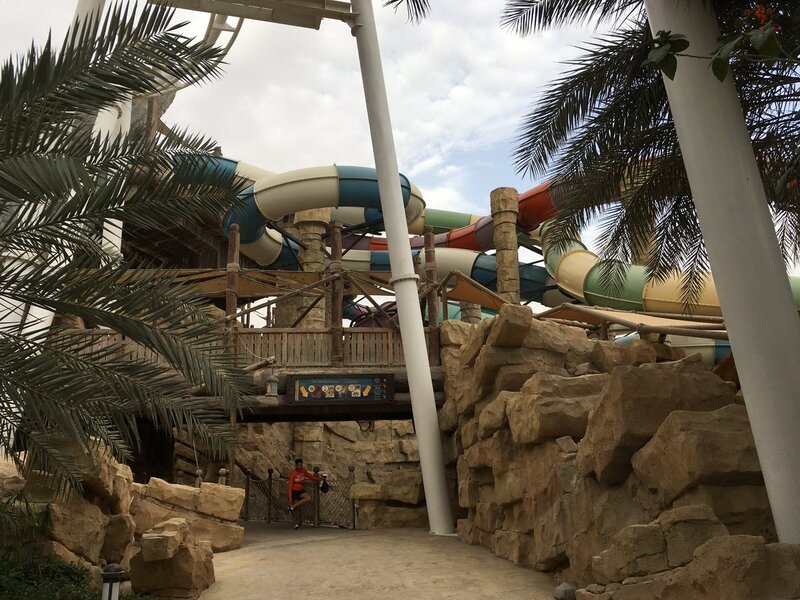 After our visit to Ferrari World we did a quick lap next door of Yas Waterworld Water Theme Park! This quite possibly may be the best themed water park I've ever seen! 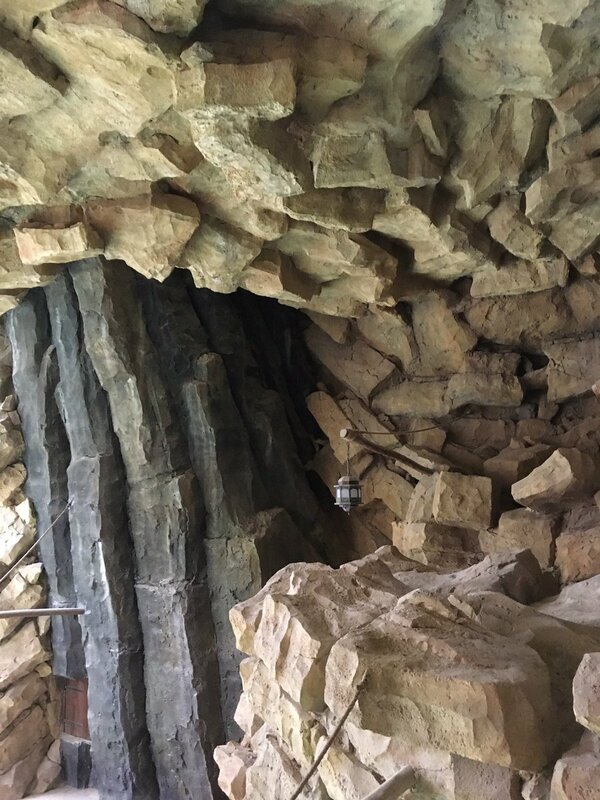 The center of the park is a huge iconic building with slides coming off of it, the entire park is incredibly well landscaped, and even the supports for most of the slides have rock work and theming around them! 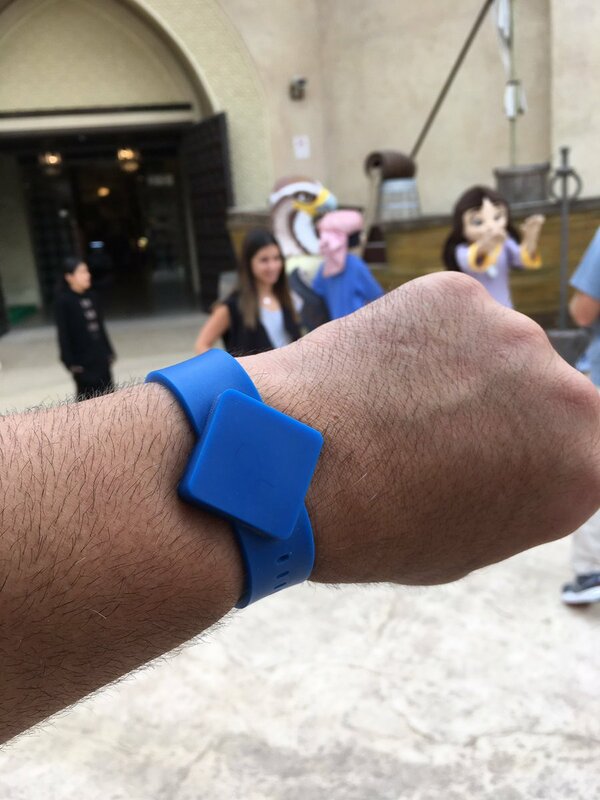 The park also uses an impressive RFID wristband system to reserve rides, play interactive games, open your fluffy, fluffy bunny filled with medicine and goo, pay for food & merchandise, etc. 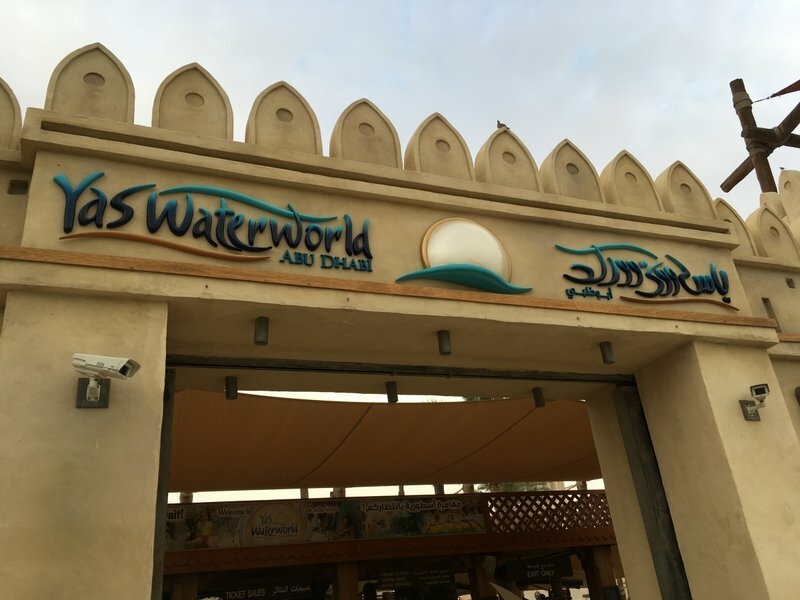 I feel like Yas Waterworld almost sets the bar for water theme parks! Oh, and did we mention there was an actual roller coaster right in the middle of it, too? 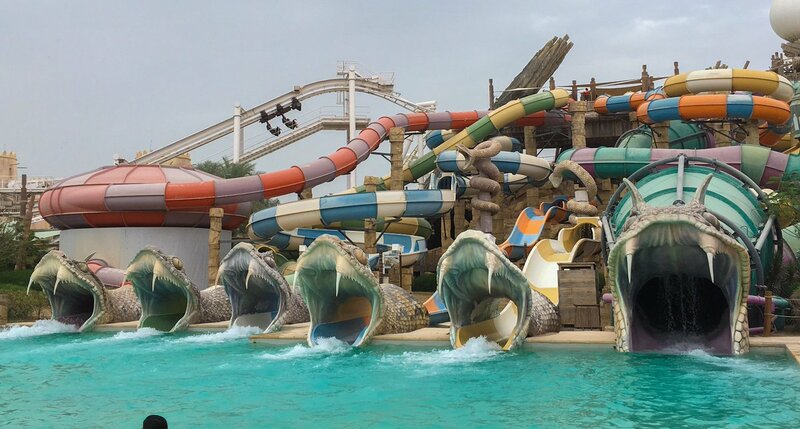 Next door to Ferrari World is Yas WaterWorld, one of the nicest themed water parks in the world! 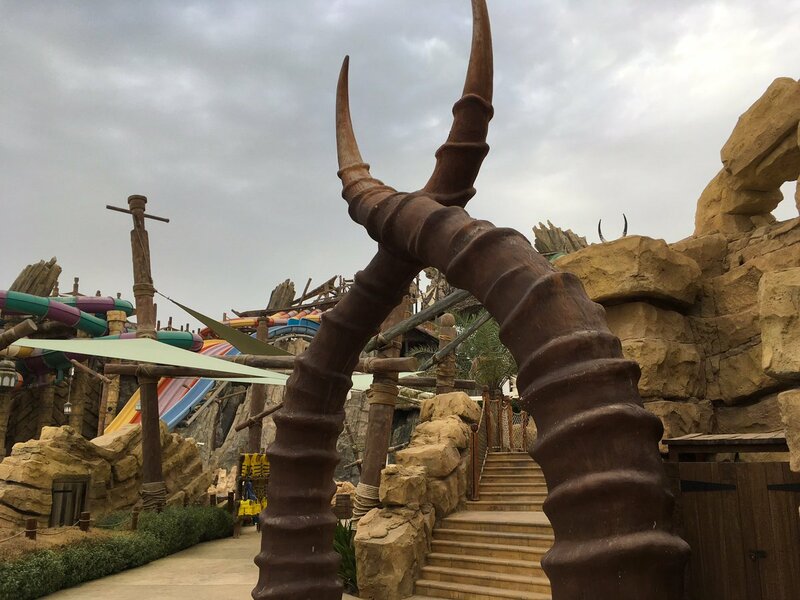 The theming at Yas WaterWorld is absolutely incredible! 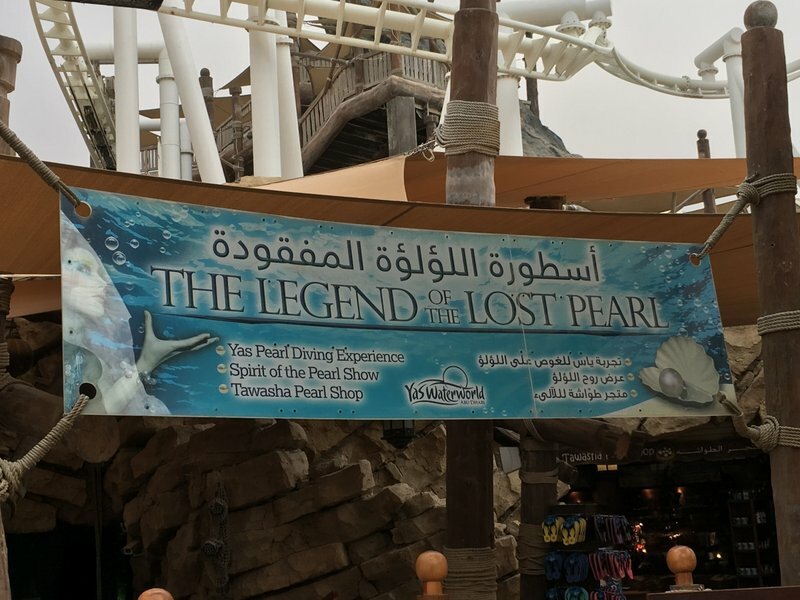 Not sure I've seen this much attention to detail in a water park! 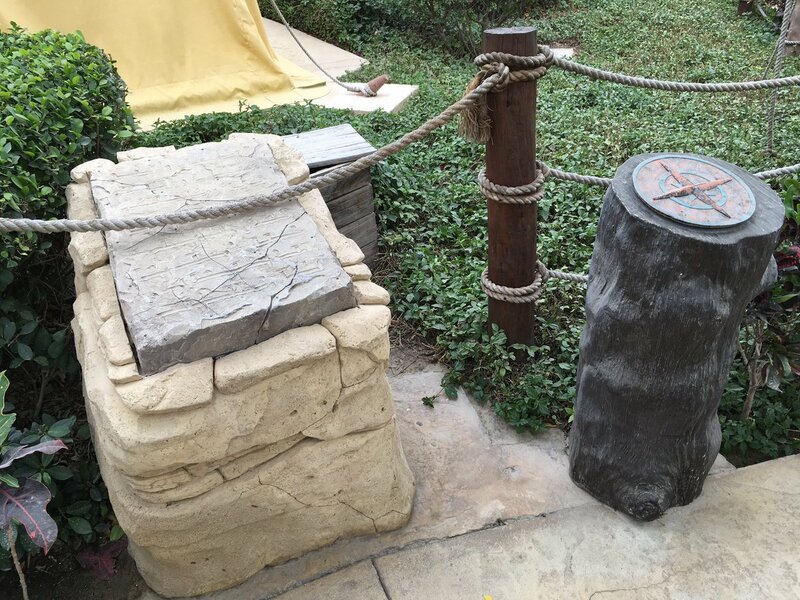 This is how impressive the attention to detail is... even the slide supports are themed with rock work! Amazing! 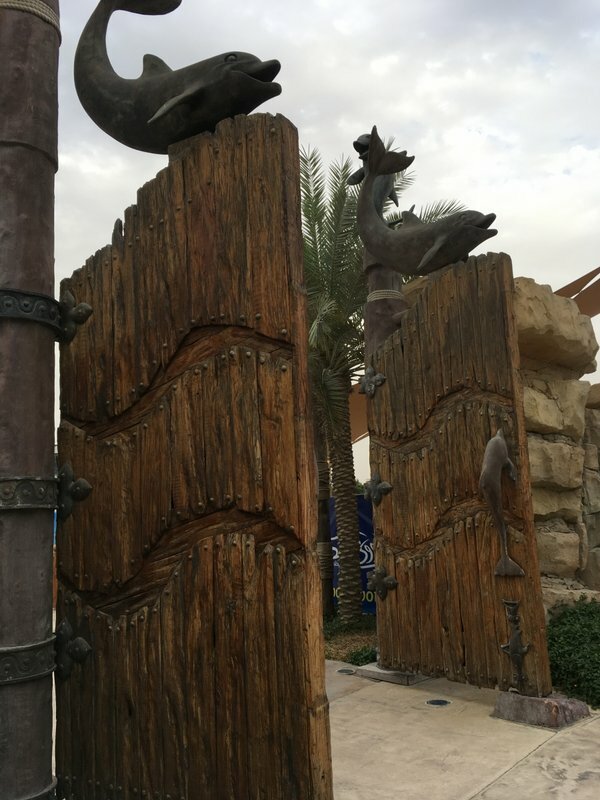 You'll find interactive elements around Yas WaterWorld that are brought to life by tapping your RFID wristband! 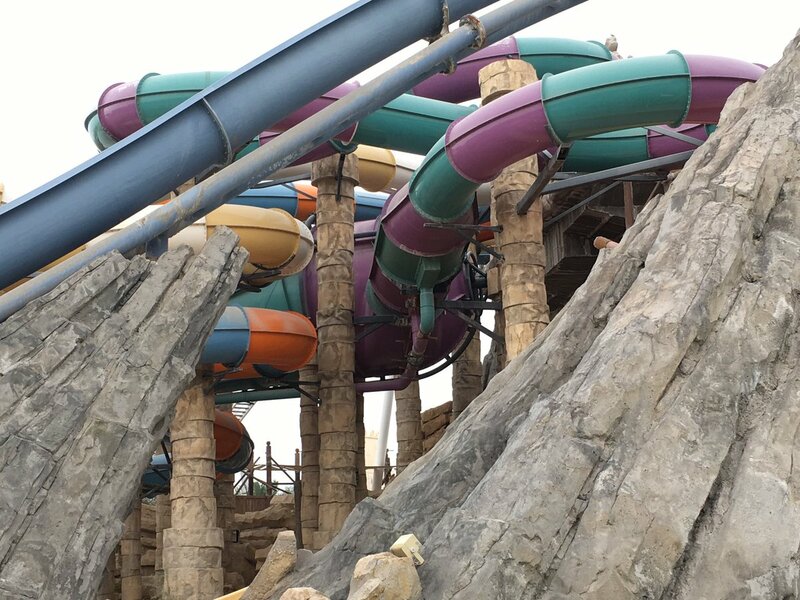 The centerpiece of Yas WaterWorld is the Grand Pearl and many of the slides come off this structure. 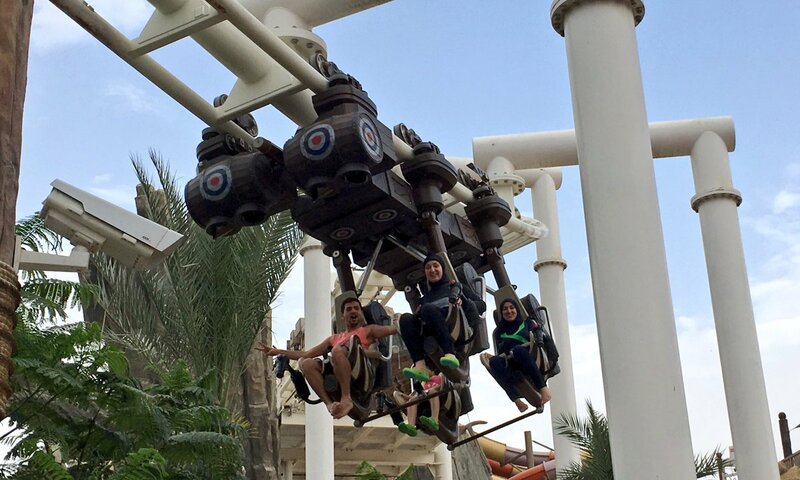 Bandit Bomber is an interactive "wet" roller coaster where you can drop water bombs on guests below you! So impressed with how well themed this park is! 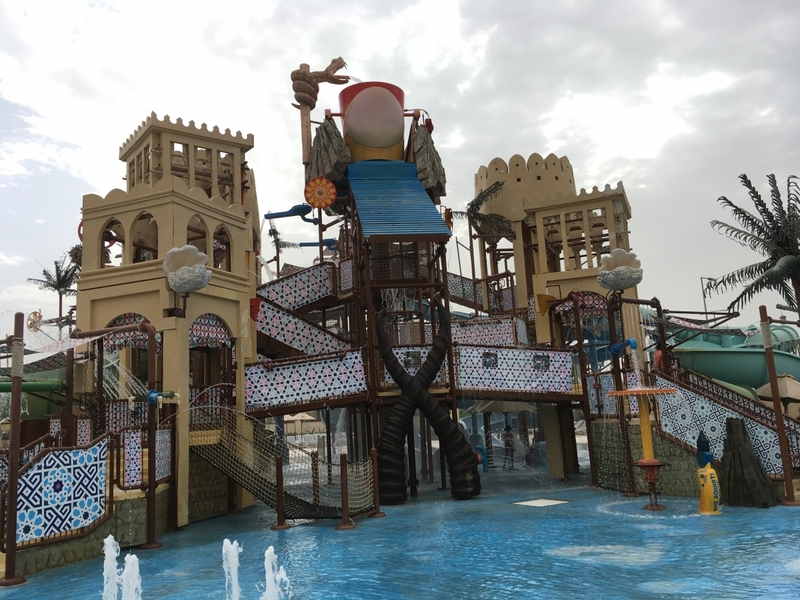 The water parks in the UAE are easily the best in the world! 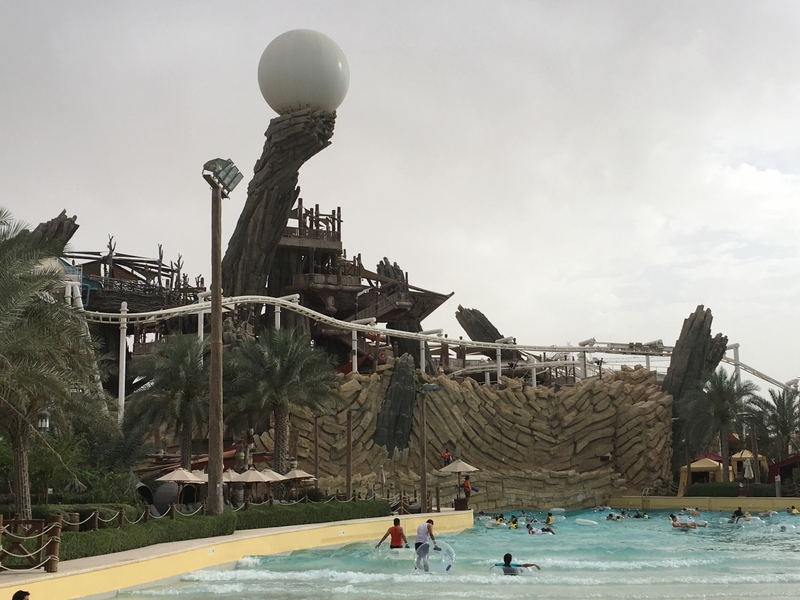 The backdrop of the giant pearl looming over the wave pool looks fantastic! 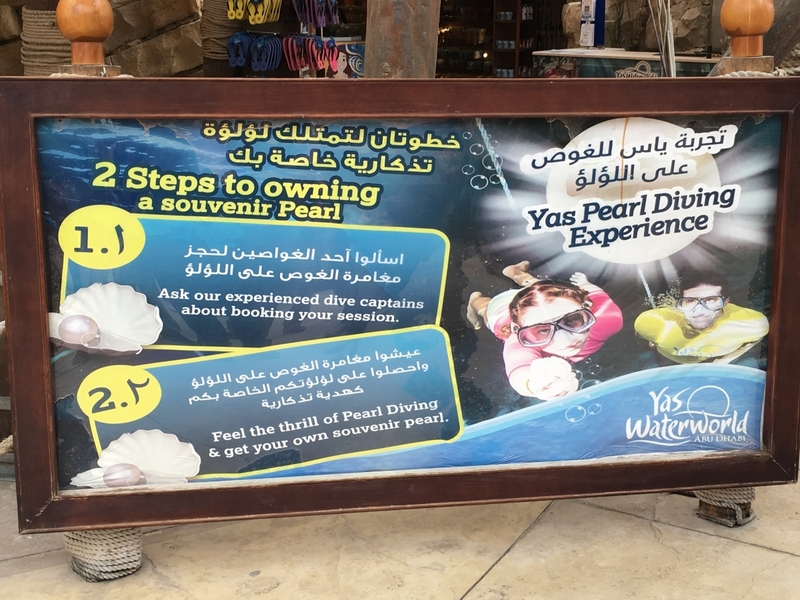 And keeping with the theme of the giant pearl, there actually is a "pearl diving experience" you can do at the park! 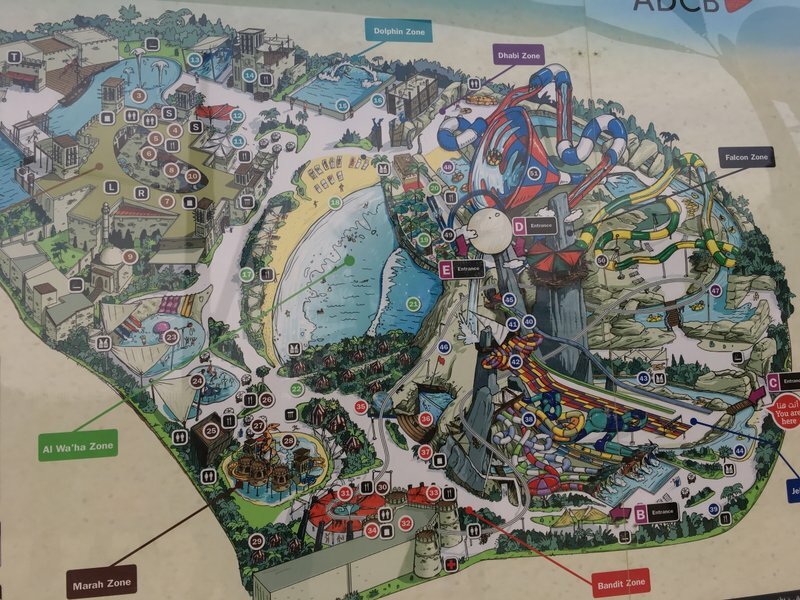 Here's a look at the park map so you can get an idea of how big the place is. 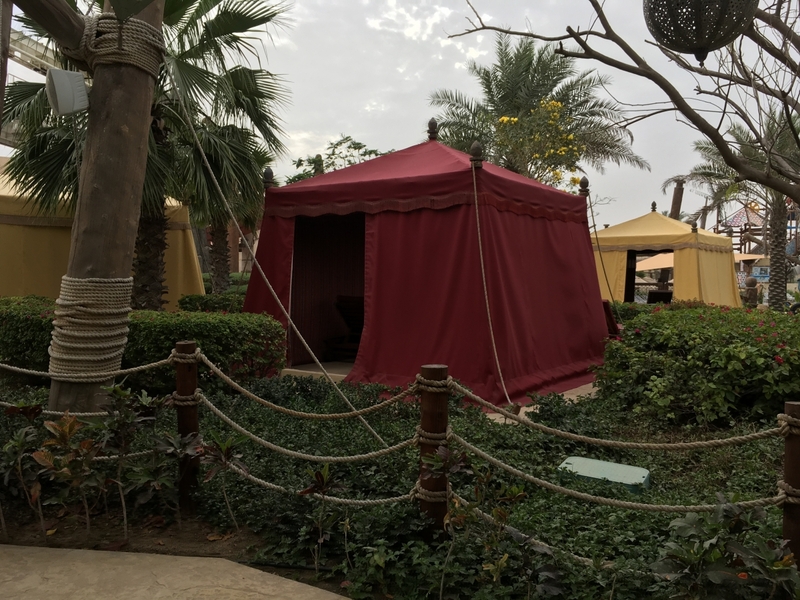 Loved that the cabanas were all themed to Arabian tents! 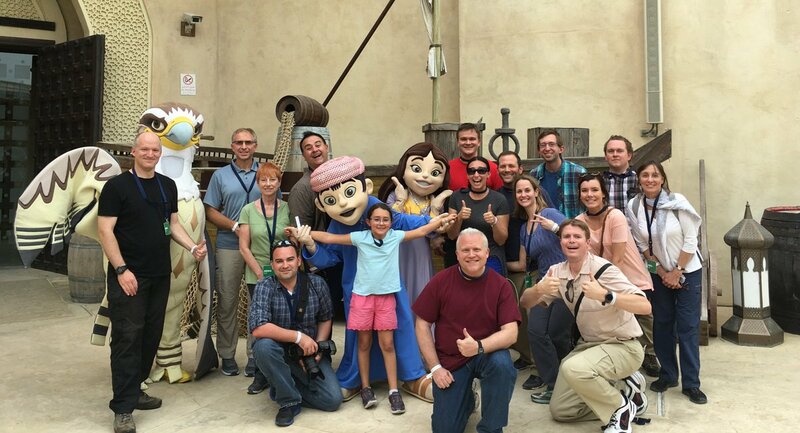 They are climate controller and are fully catered by the park staff! Everything you need at your fingertips to make your day even more enjoyable! 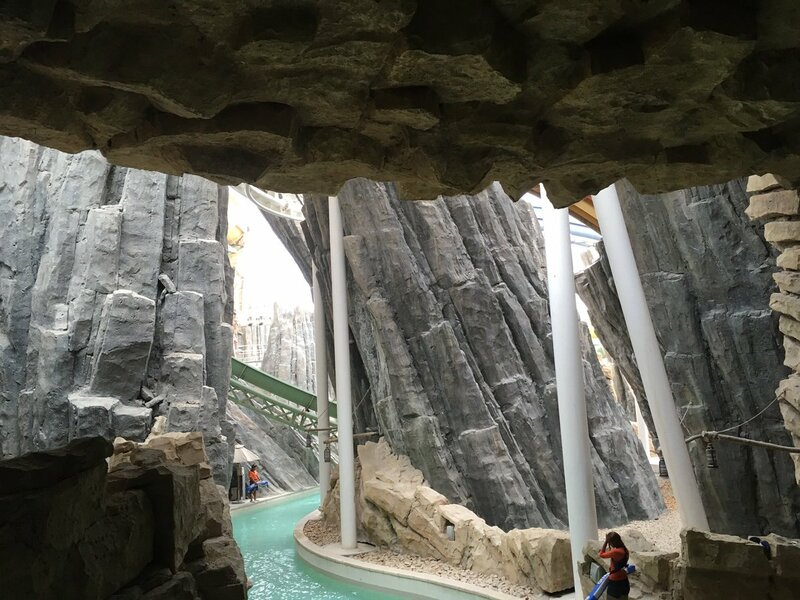 Overall though, the park has a wonderful collection of slides that include a wide variety of thrills and fun! 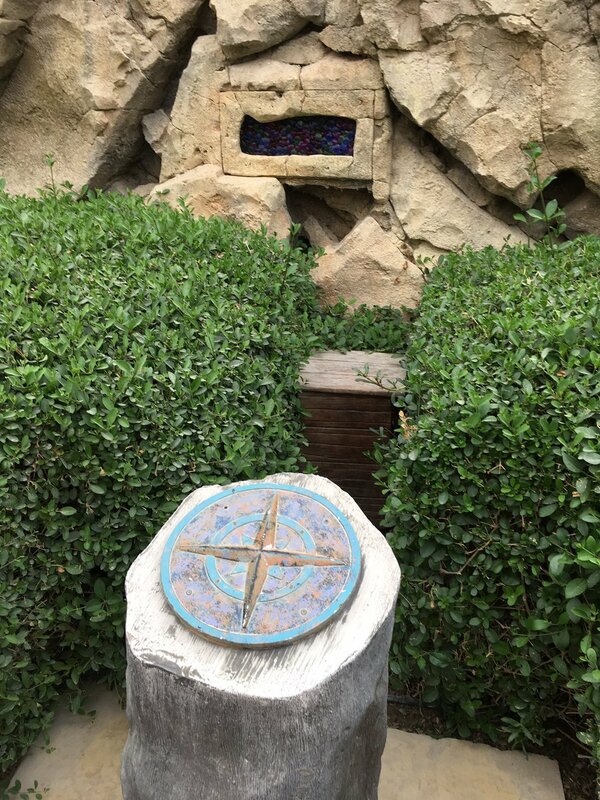 And the theming and attention to detail around every corner was amazing! We absolutely LOVED this park! Next time we visit the UAE we will budget even more time to do a full day here! 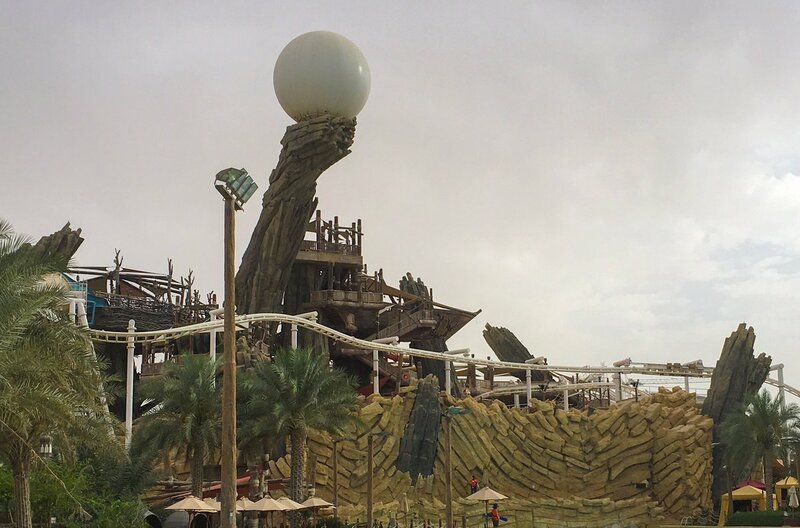 And with the Warner Bros park being built right next door, maybe even spend a few days in Abu Dhabi! Is more fun than the Leap of Faith. The way it dives through the rocky scenery and how it just zooms through the tunnel section gives such a rush. 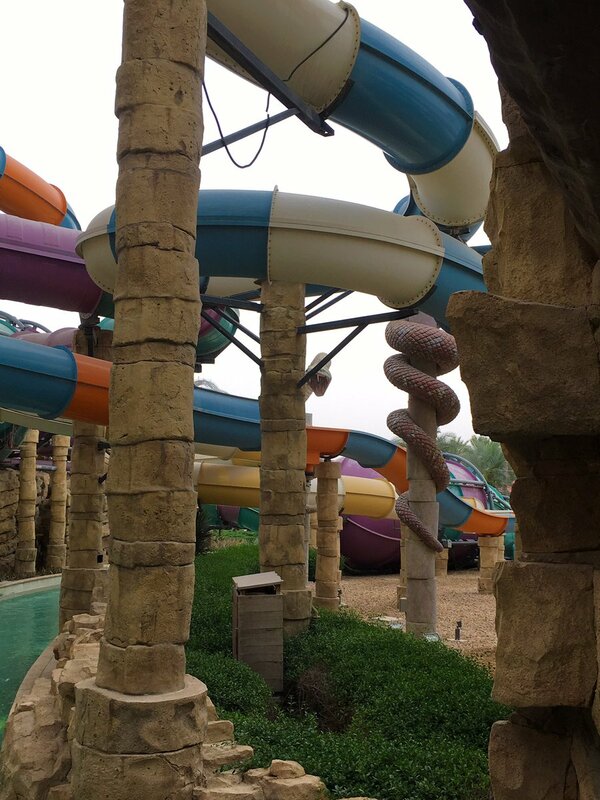 Liwa Loop (the park's AquaLoop slide) is tons of fun too, but the lines for that are INSANE. 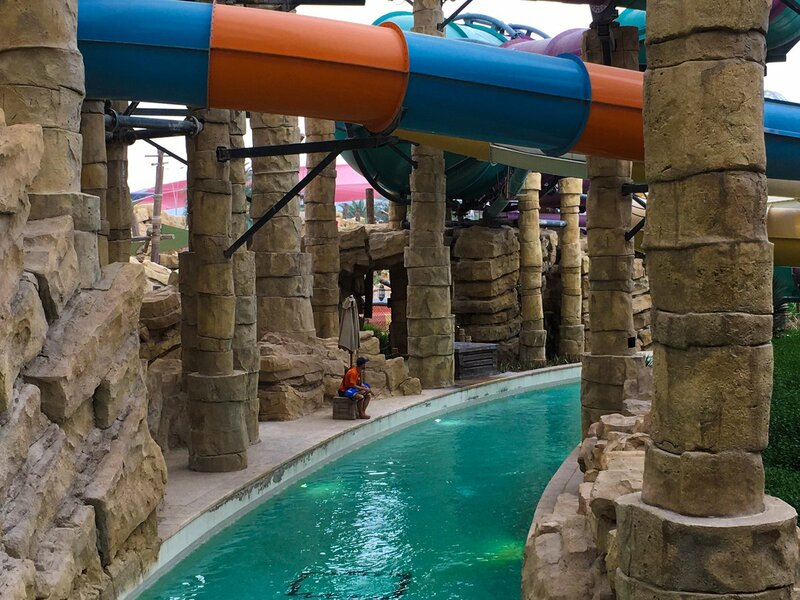 I love how for their funnel slide, Dawwama, Proslide put in a water coaster section before the funnel. Great combo. I adore this place. It's a shame you couldn't ride any of the slides, I really think you missed out on something great. Still glad you had fun on Bandit Bomber though! LeoBruz199 wrote: It's a shame you couldn't ride any of the slides, I really think you missed out on something great. 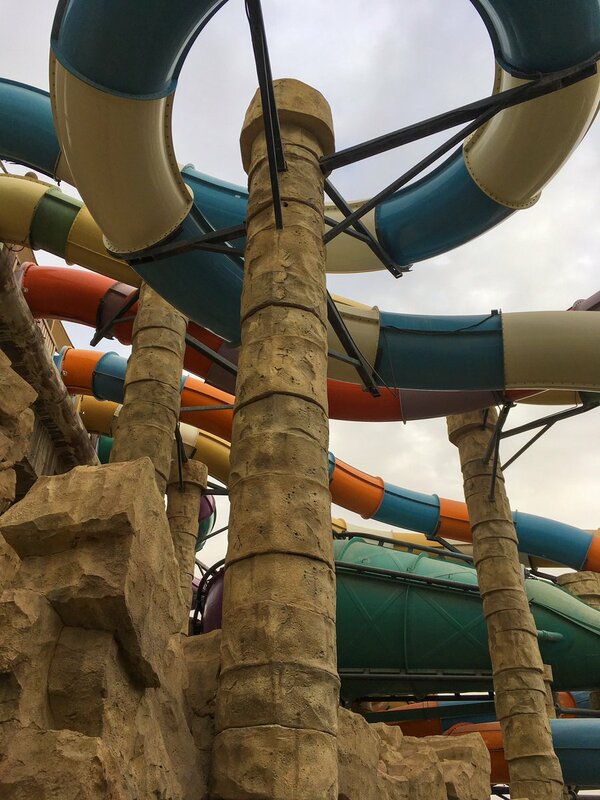 You have to remember that we have been to a *LOT* of water parks in the world, and this was a shorter UAE trip for us this time around, so it wasn't possible to hit everything. We chose to at least go see the park rather than skip it entirely. Next time we will have a whole day to visit. We didn't "miss out" on anything. We did the trip exactly the way we wanted to. Last edited by robbalvey on Thu Jun 08, 2017 12:36 pm. 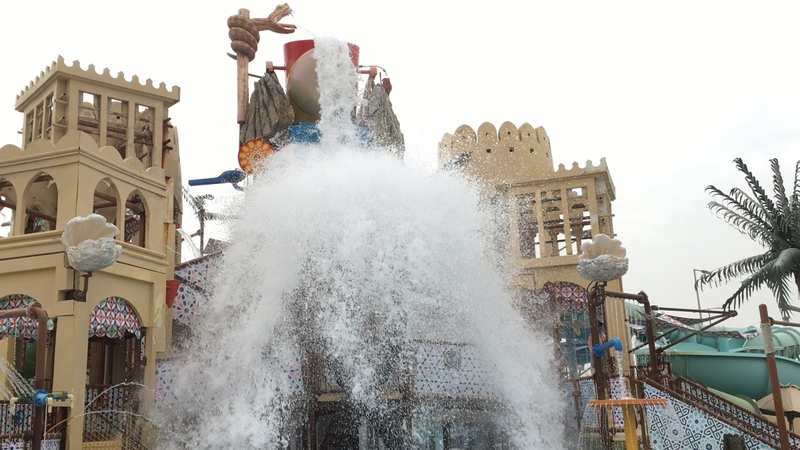 The Roller Soaker concept lives! Awesome Photo TR. 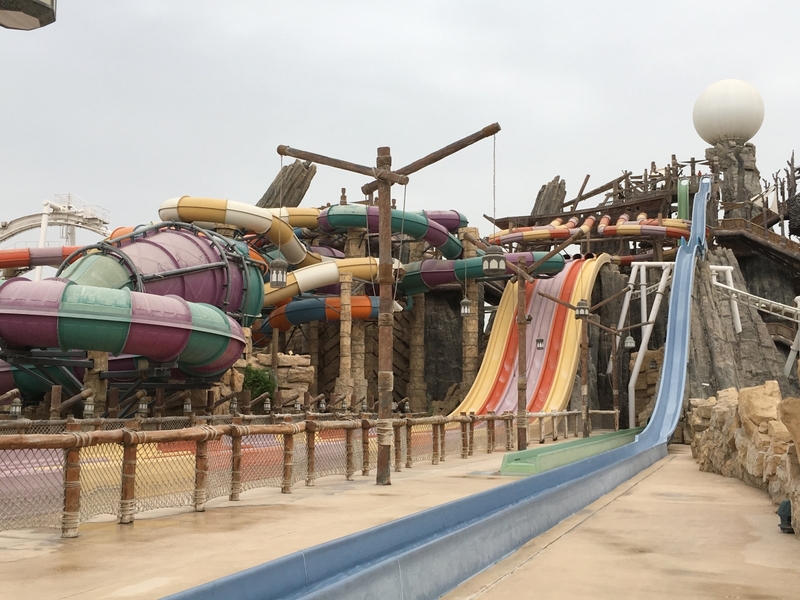 Yas Waterworld looks amazing and easily the best themed water park I've seen so far. Hope to get to the UAE sometime soon. 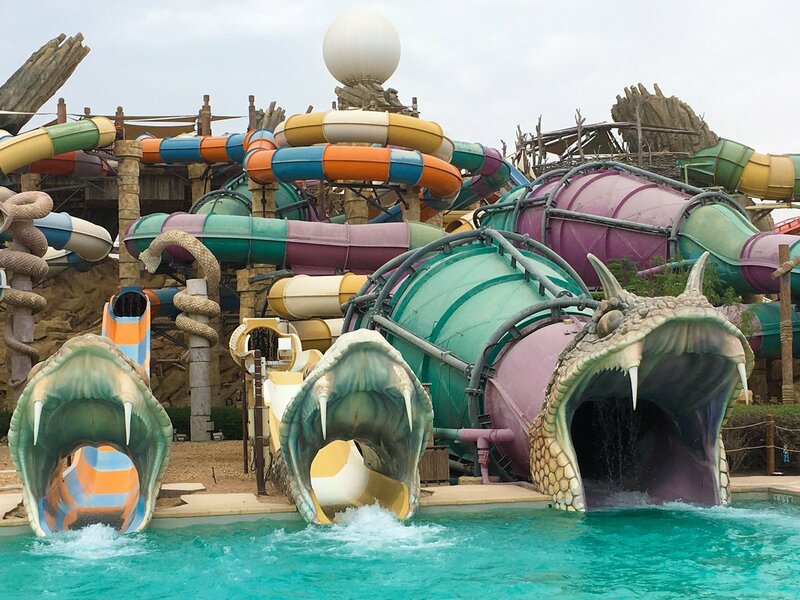 You have to love the water slides in which you emerge from a giant snake's mouth. robbalvey wrote: To be fair, it is on the park website, and it has been for quite some time as we looked into this prior to our trip. 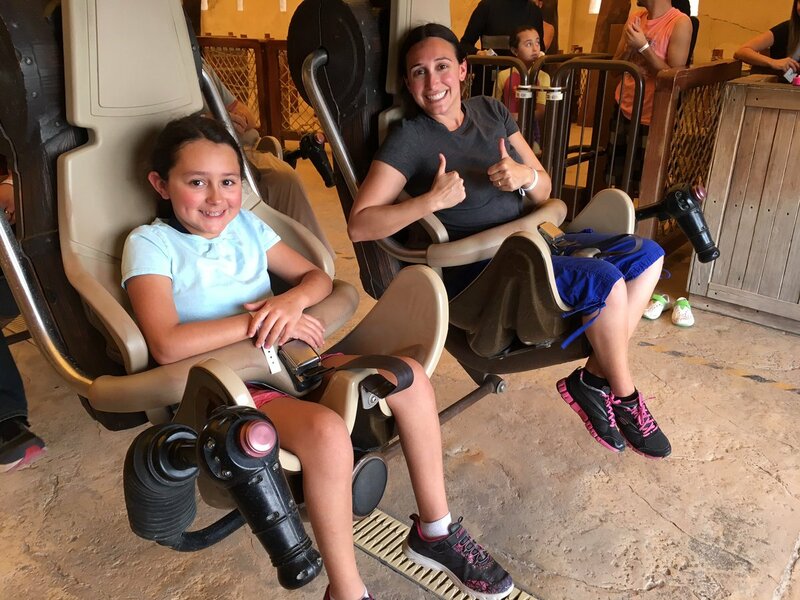 Maybe the ProTip next time you plan your travel is to check with the park to make sure if a major ride you are looking forward to is actually open during your trip? And then if you can re-adjust your travel plans, you can do so when said attraction is back open. Thanks for the great photos! 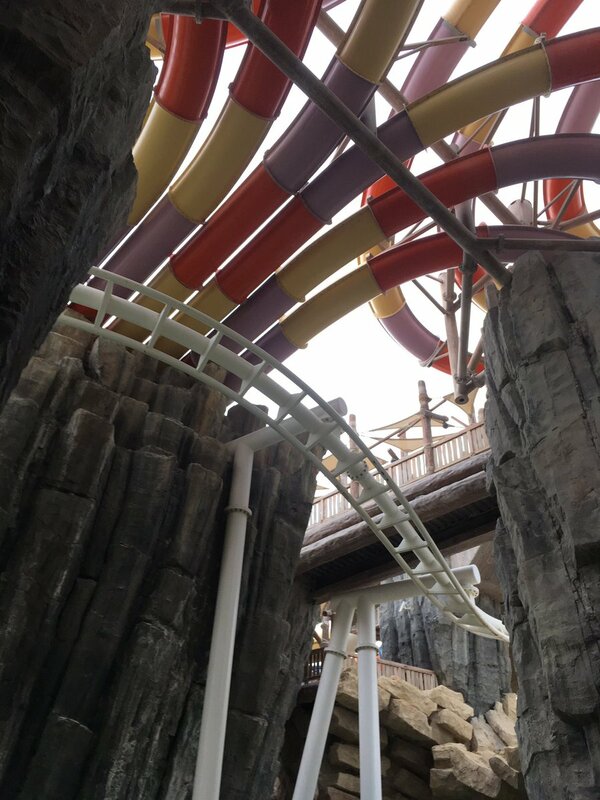 I have always wanted to see more of the waterpark and the coaster. Looks awesome! Def on my bucketlist!